When most people think of Bomber Command in World War Two attention instantly turns to the Lancaster or the Halifax. 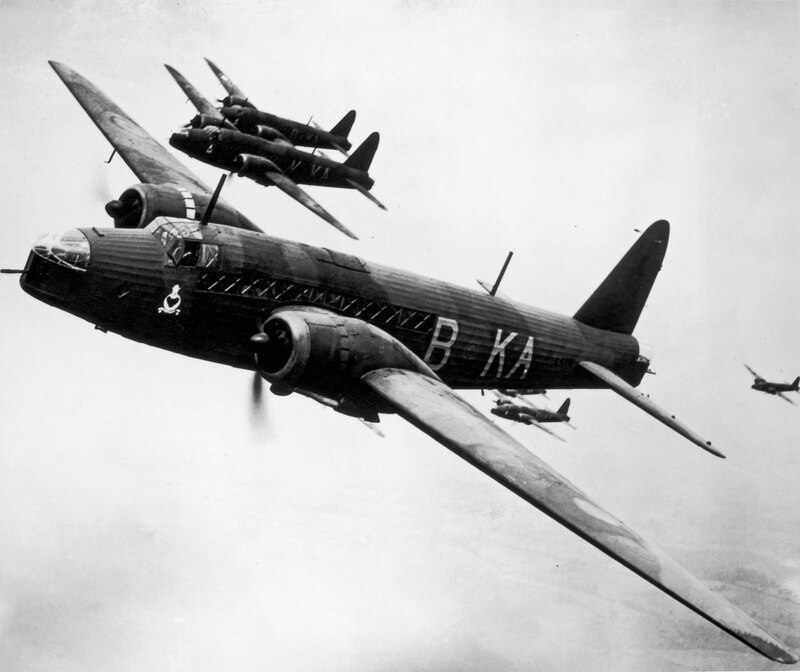 But before these four engined work horses came along there was another aircraft which provided the nations offensive back bone, the Vickers Wellington. In 1932 the government released Specification B.9/32, which called for a twin engined medium bomber to be desinged and built. In October of that year Vickers presented its claim to this new specification. The result was the Vickers type 271, which caused a few waves when its construcion method was announced. The aircraft would make use of the complex geodetic metalwork design, which designer Barnes Wallis had pioneered during his airship design days. This method of construction had been tested extensivley at Farnborough and was deemed to be one of the strongest available at that time. Purely based on the promise strength of the constuction the Air Ministry ordered a prototype to be made. 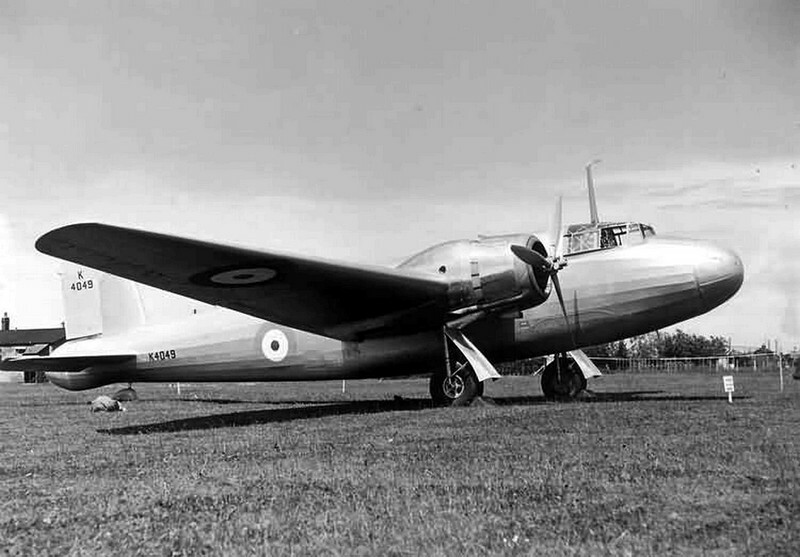 On the 15th June 1936, Mutt Summers got airborne in B.9/32 prototype K4049 at Brooklands for what would be the first flight of the Wellington. Though the aircraft had the same basic design as what we now identify as a Wellington it looked quite different, void of any turrets and featuring a tail borrowed for a Supermarine Stranraer. K4049 featured two 915hp Bristol Pegasus X’s for power. Initally known as the Crecy, a number of design modifications were carried out and the aircraft was eventually accepted in August and was given the name Wellington. Tragically ‘4049 never completed the full testing program as she was lost in April 1937 in an accident. In October 1938 the first MkIs entered service with No.9 squadron and it was with this squadron, along with No.149 that Wellingtons and Bristol Blenheims carried out the first RAF Bombing attack of the war, against German shipping on the 4th September 1939. During these first initial missions in late 1939 it became apparent that the Wellington was extremeley vunerable to German fighters as it had no defence other than directly in front and behind. A flight of Wellingtons posting for the cameras – Image Credit. On one mission over Heligoland Bight on the 18th December twelve Wellingtons were destroyed with three others suffering damage. By August 1940 Wellingtons had been moved on to night bombing missions, where they were less vunerable, and carried out the first night raid over Berlin on the 25th August 1940. One impressive statistic that really makes one appreciate the dominant force that the Wellington was during the difficult early years of the war is that on the first 1000 bomber raid over Cologne on the 30th May 1942, 599 of the aircraft were Wellingtons. The Vickers design was not just limited to Bomber command however, Coastal command variants were used as anti-submarine aircraft, sinking their first enemy vessel in 1942. The Wellington was also the first long range bomber to be used in the Far East when they were deployed to India in 1942. Aside from its operational duties the Wellington also played its part in the testing for the Bouncing Bomb. One of Barnes wallis’ later designs, and of course more famous, was the bouncing bomb famously used by the Dambusters in may 1943. Wallis used a Wellington to carry out test runs of the bomb at Reculver in Kent. 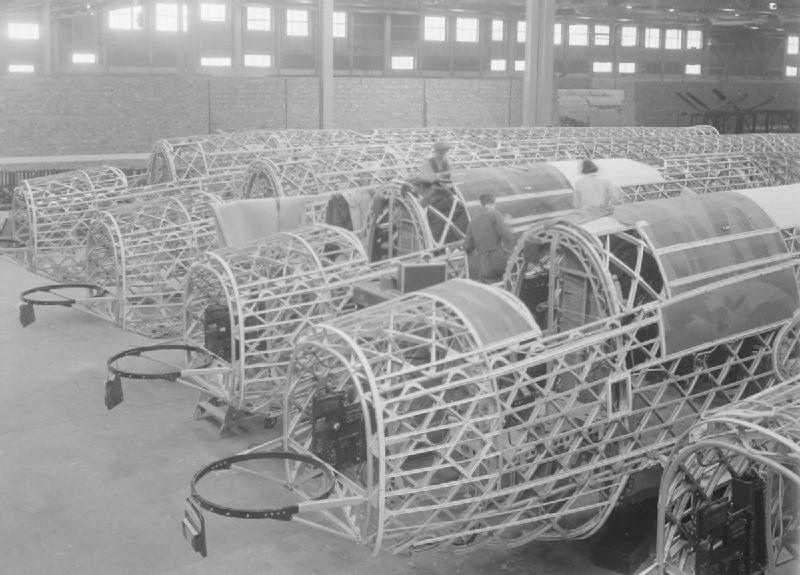 The production line shows off the unique construction of the Wellington design. – Crown Copyright. In 1944 a Wellington XVI was trialled as an airborne early warning control aircraft, guiding Beaufighters and Mosquitos to HE111 bombers carrying V1 flying bombs. 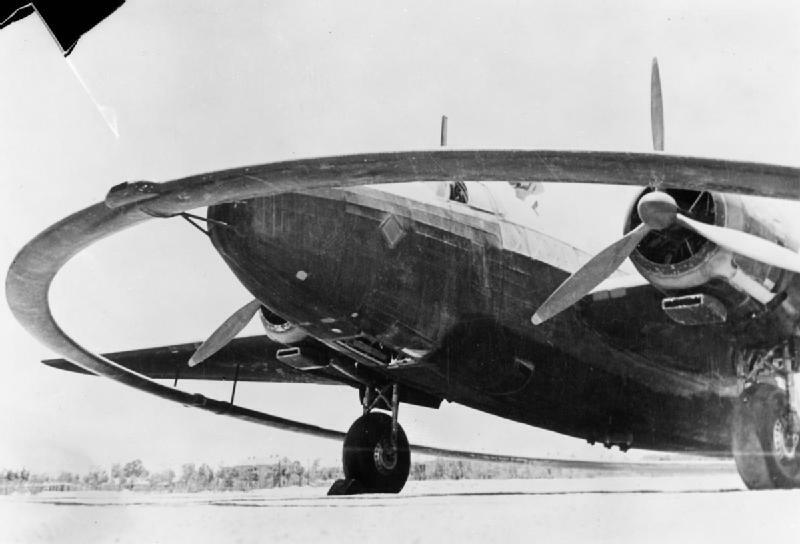 An often modelled version of the wellington was the DWI version, fitted with a distinctive magnetic hoop around the aircraft, this was used to explode enemy mines through the use of a magnetic field. 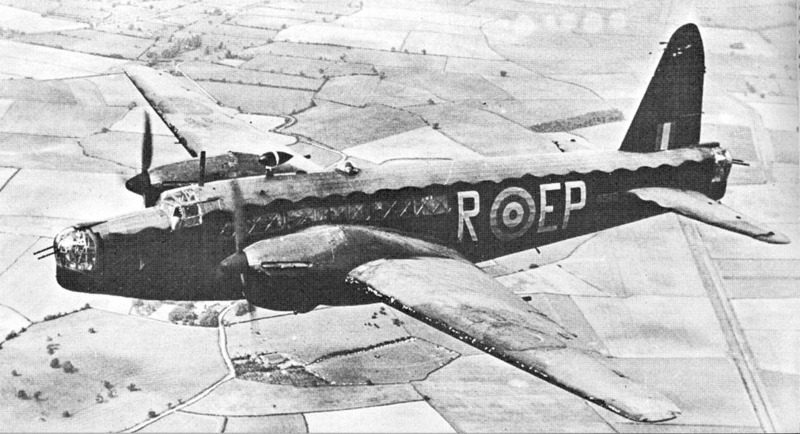 Another interesting variant was the Mk IV which featured a pressurised cockpit, this modification gave the Wellington a very strange appearance. The Wellington DWI with the distinctive hoop surrounding it. Though the original prototype and Mk I aircraft were powered by Bristol Pegasus’, later models were also powered by the Bristol Hercules, Pratt and Whitney Twin Wasp as well as the Rolls Royce Merlin. This shows how versatile an aeroplane the design was. Despite being the most numerous British bomber of the second world war, with 11,461 built, only two complete examples remain. One at Brooklands in Surrey and the other with the RAF Museum. 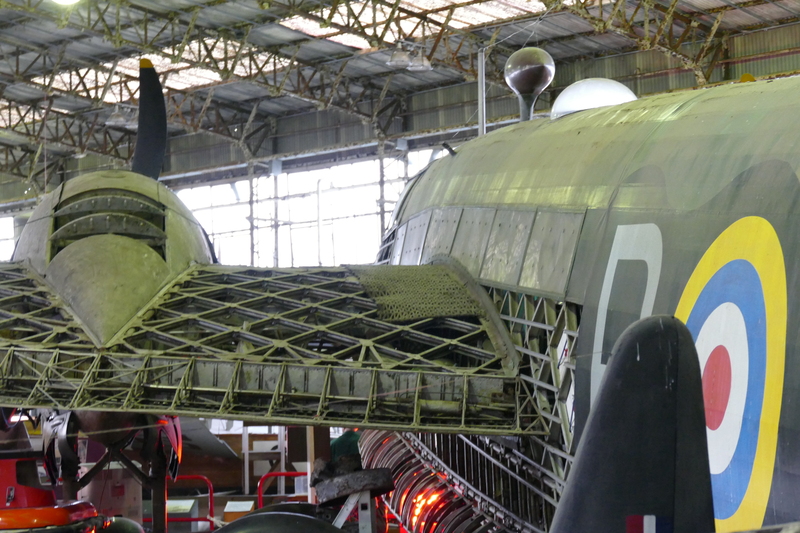 The latter is currently under long term restoration at the Cosford Branch. 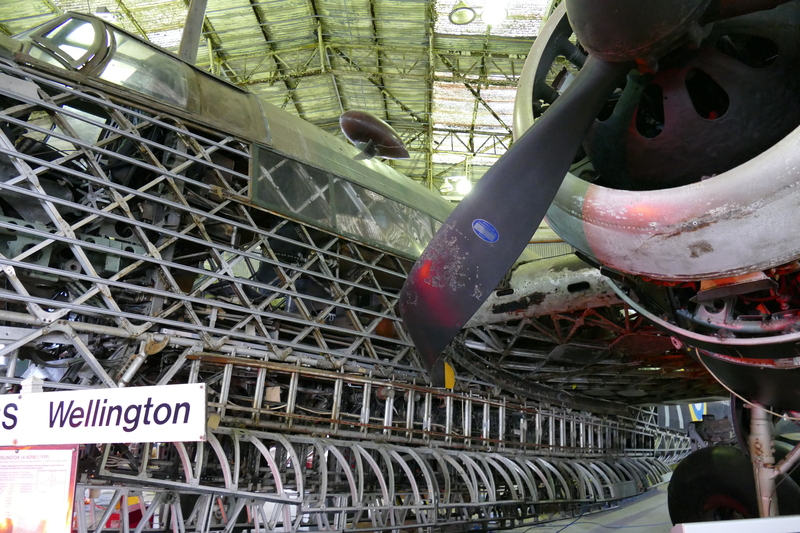 Built in 1944 this Wellington was one of 3804 MK X’s to be built, flying from Blackpool on the 9th May. From Blackpool she was delivered to No.18 Maintenance Unit in Dumfires.From here records of the aircraft are unclear, though there is record of two flights carried out at RAF Northolt in June 1944, which was cited as the aircrafts base in the flight logs. It is unknown why ‘628 ended up at Northolt but it is assumed these flights were followed by a period in storage until 1948. In March ’48 she was converted to a T.X training standard by Boulton Paul. This conversion involved removing the front turret as well as refitting the interior for training use, the rear turret and bomb doors were left in place during this process. 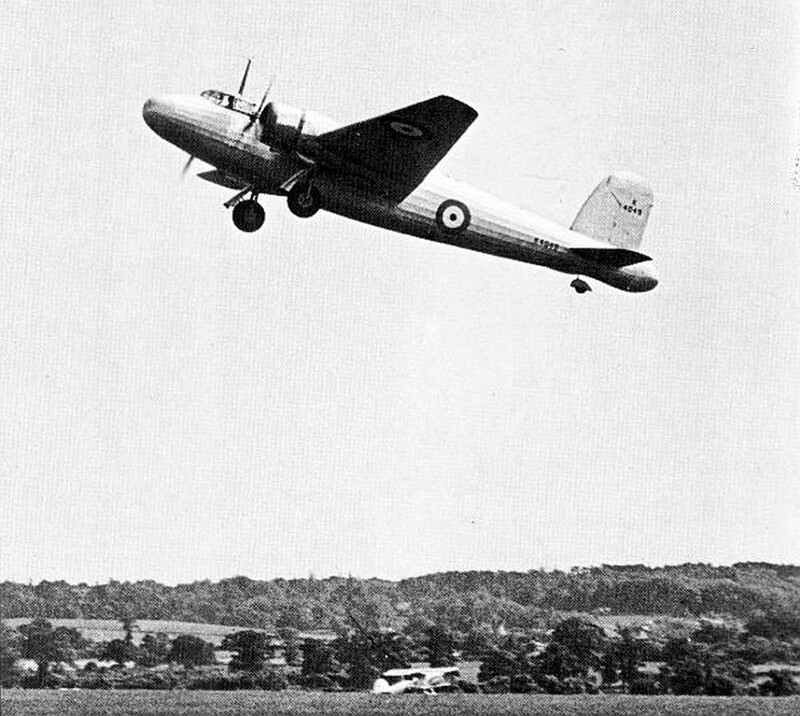 In April 1949 ‘628 was allocated for service with NO.1 Air Navigation School at RAF Hullavington and was used to navigation training and practice bombing. She continued in a training role until the 14th December 1951 when she suffered Cat 4 damage in an accident, but was soon sent to Sywell for repairs. In october 1952 it was back to front line service, arrving at 19 MU at RAF St. Athan, however by this time Wellingtons were slowly being replaced by the new Varsity. In January 1953 she was placed on the non-effective register but was retained in airworthy condition, narrowly avoiding the scrap man, being saved by a local engineering officer. In June of 1953 she apparently put on the most impressive flying display at the Royal Aeronautical Society’s 50 years of aviation Garden Part at Hatfield, before being placed back into storage at St Athan. Another brief appearance came in 1953 with a battle of britain display at St Athan and a flypast at RAF Aston Down, both on the 19th September. On the 5th April 1954 she was once again pulled out of storage, this time flying to RAF Hemswell to take part in the filming of the Dambusters film, being used as a camera aircraft. 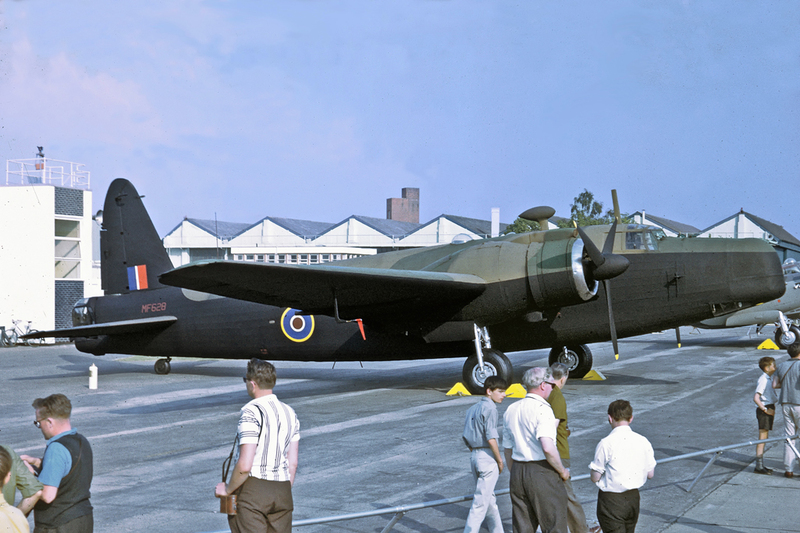 Following this deployment it was finally time for the aircraft to be grounded, with the final flight being carried out with a delivery to Wisley in January 1955 ‘628s career ended and with it so did the history of flying Wellingtons. In 1957 she was finally transfered to current owners, the Royal Air Force Museum and moved to Hendon. Some basic preservation work was carried out in the years that followed including replacing all the navigation panels with original examples. In 1959 she was noted at Heathrow in the BEA Comet hangar, where further restoration work was carried out by the Historic Aircraft Maintenance Group. After a few years spent at the Maintence Unit at Bicester the airframe ended up at Biggin Hill and was on static display at the Battle of Britain day in September 1964. This appearance was followed by further storage as well as a repaint and recovering before going on display at the RAF 50th Review at Abingdon in June 1968, where the aircraft suffered damage. With this damage repaired ‘628 was finally placed on permanent display at Hendon in October 1971. Over the years work continued to give the airframe a bomber appearance, this was helped dramatically with the inclusion of a Frazer Nash FN5 front turret, which was added in January 1981. On display in the Bomber Command Hall at Hendon for a number of years the airframe was slowly dismantled in June 2010 so a major rebuild could begin. 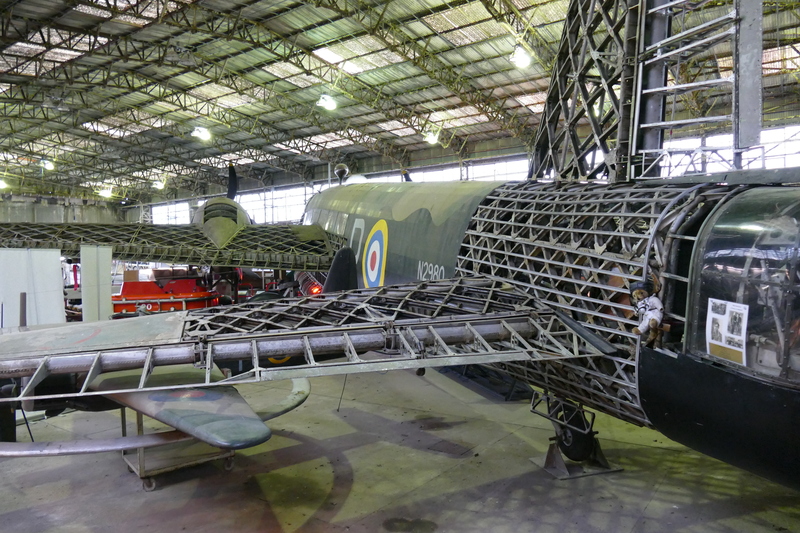 This restoration project is still ongoing at RAF Museum Cosford and the aircraft is not on regular public display. R for Robert on display at Brooklands. The Heligoland raid outlined above was disastrous for bomber command with a huge loss of machines and crew. One aircraft that did survive however was N2980, at the time flying with 149 Squadron wearing the code letter “R”. Following time with 149 the aircraft was transferred over to 37 squadron where it saw service in 14 more missions before being assigned to No.20 Operational Training Unit at RAF Lossiemouth. This new posting came with a new role as a navigator training machine. It was while on one of these training sorties, with six trainee navigators on board that ‘980 developed an engine problem. The two pilots, Squadron Leader L Marlwood-Elton and Pilot Officer Slatter, gave the order for the crew to bail out the aircraft. All but one of the crew survived, sadly Sgt. Fensome, who had been in the rear gunners positioned died when his parachute failed to open. The aircrafts original construction is clearly on show here. Flying among the Scottish Highlands doesn’t give much room for landing a stricken aircraft so the only option would be the water, in this case, Loch Ness. The ditching was successful and both pilots made it back to shore, the Wellington sank to the bottom of the lake. The bottom of the lake is where R for Robert would have stayed, had it not been for a chance sighting of the wreck on a sonar scan in 1981 which showed the airframe was still in amazingly good condition. Plans were put together to raise the aircraft and this was carried out successfully on the 21st September 1985. R for Robert is displayed in a partly covered state, offering fascinating views. What came out of the lake was a largely complete airframe, though it was missing the rear fuselage between the wings and the tail. Following transportation to Brooklands, where the aircraft was first built restoration work began. This work included manufacturing new geodetic structure to fill gaps where there was no suitable material or simply none at all. What the team at Brooklands achieved is remarkable, doubling the world population of a rare and important aircraft is always a good thing. R for Robert is the only of the two surviving Wellingtons to have seen active service and has the illustrious claim of having been first flown by Mutt Summers, Vickers’ chief test pilot and famously the first to fly the Spitfire as well. An amazing piece of history. Thats the Wellington story as it sits these days, there are a number of large components from crashed airframes still around. Next week I will take a look at an exciting project that will hopefully add to the Wellingtons numbers one day.